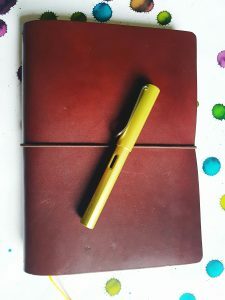 I’ve said before, but traveller’s notebooks (TNs) continue to be extremely popular. They offer a degree of flexibility bound notebooks cannot. After some hesitation, I took the plunge and am currently using a personal size TN daily, and a passport size less frequently. I was excited to try out an A5 though. Start Bay, based on the South Devon coast, offered a sample of their A5 Navigator cover to United Inkdom for testing. The Navigator is a large TN. It’s 160mm x 225mm x 25mm and so it comfortably accommodates several wide A5 (145mm x 210mm) notebooks. Start Bay themselves state that it will hold 4 notebooks (it has 4 elastics at the spine) but you could easily rig it up to hold more than that. If, for example, you were using slim notebooks like the Taroko ones I previously reviewed, you would want to add in a lot more than 4. (There are lots of YouTube tutorials to help you out if you’re not sure how to do this.) Its size is a huge plus point for me. You can fit a hardback notebook, like a Leuchtturm, in here with plenty of room to spare. This would be a useful way of managing a bullet journal with separate collections notebooks, for example. The Navigator is made from hard-wearing full grain leather which will handle a potentially large amount of paper inside. The leather is 3mm in thickness and is stiffer than many TNs available. 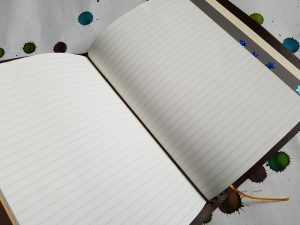 I currently have the slim Taroko notebook, a slim Filofax Flex notebook, and a heavier Midori MD Notebook – A5 Plain Paper . This combination leaves plenty of room (it only uses 3 of the 4 elastics). You could easily fit a Leuchtturm 1917 or even a Moleskine notebook (if you can bear Moleskine’s terrible paper) along with other items. However, it does make this a moderately heavy item to carry around. Mine currently weighs about 22oz/650g, without hardback notebooks in it. The size is a big plus for this TN. The otherwise good Paper Republic cover was let down by its awkward size. By making the TN itself A5, Paper Republic have drastically restricted the availability of notebooks to go with it. Start Bay have avoided this important pitfall by making a cover into which A5 notebooks will fit. This is not only much more convenient, it also conforms to what people expect from a cover marketed as a standard size. The Navigator is a classic, elegant design. The simplicity of the design means you could almost certainly use it in a work environment if you wanted to. They offer four colours of leather: original dark brown, mellow mid-brown, statement Sahara, and chic tan. They are also available etched with Paisley pattern. The leather is full grain. 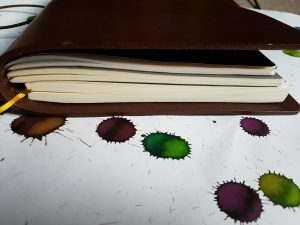 It may include small “imperfections” and it will pick up scuffs and dents are you use it, but because the leather is good quality, this adds character rather than making it look scruffy. I think it will age well. It certainly feels like it will cope with being a bit bashed around in a bag. The thick, stiff leather makes me feel like I don’t have to be especially careful with it, the way I do with my softer leather TNs, where scuffs are more noticeable. These covers are available from Start Bay for £48 (£58 for Paisley) which is very good value. 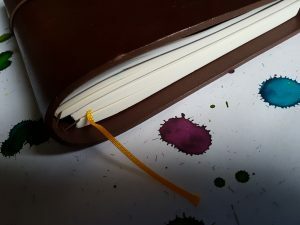 These are high quality leather covers which will last. 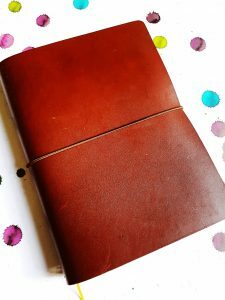 They are large enough to accommodate big notebooks and as many of them as any sensible person could need! Start Bay don’t try to trap you into a non-standard sized insert, so you can fill the cover with whatever notebook you’d like. They don’t even manufacture tehir own inserts (though you can buy some, like Rhodia and Clairefontaine, through their website. You can therefore manage the on-going value of your TN yourself. Keep an eye out for a follow-up review in 2018!